Did you purchase an Ultimaker 3D printer in the last 6 months? Then take a look at this introduction training. 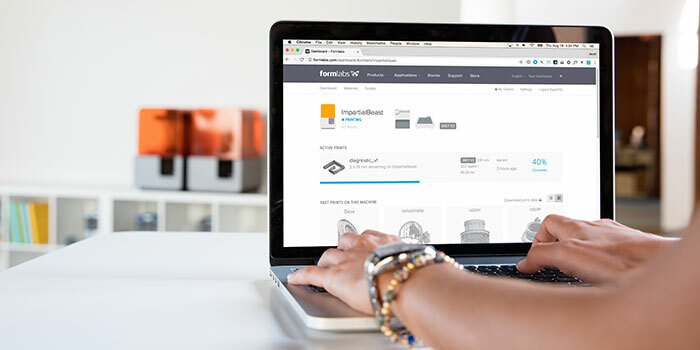 During this two hour during training session, our expert guides you through the working and settings of your Ultimaker, the materials, the maintenance and CURA. He will also answer all questions you have about the usage of your unit. This training is free for all customers who purchased their Ultimaker at Trideus in the last six months. * This training is free for all customers of Trideus who purchased an Ultimaker 3D printer in the last 6 months. The training starts at 2pm and has a duration of 2 hours. Subscribing for this introduction training can be done via our meetup. This can be done up until 1 week before the training. The serial number of your 3D printer is the discount code for your subscription via Meetup. To guarantee the quality of this training we have set the amount of participants to 12 at the utmost. We have chosen this amount considering our experience in previous training sessions. This way, we keep the interaction optimized and personal. Which filament type should I use for my prints? Which settings do those filaments require? What is the optimal printing temperature for my materials? Which support is best for my prints, PVA or Breakaway material? Where do I place it? We will help you when looking for the right filaments for your applications. What is the best print speed when printing? Which nozzle or print core do I need to get the best results? What are the differences between the nozzles and print cores? What does a print cost? What are the best adhesion materiels? These and more questions will be answered step by step. Is it necessary to post-process my prints? What are the different manners of post-processing? What is the best way to remove the support materials PVA and breakaway material? Both during and after the training, we offer you the option to ask the remaining questions, so that you can start your 3D printing experience with the best possible knowledge. Interested in following an introduction training about Ultimaker? Do you want to follow the introduction training about Ultimaker, please contact our sales team. They will let you know the possibilities and availability on your prefered date. Contact us to participate the introduction training about Ultimaker.